Johnny Cash was one of the best country musicians back in 1960’s. His voice was soothing and there are many that want to sing just like him. 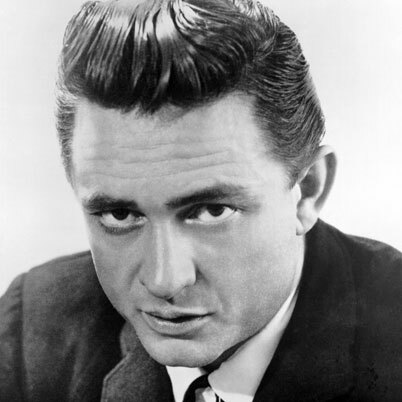 Playing and singing with the likes of Elvis Presley and Jerry Lee Lewis, with songs such as “Ring of Fire” to his name, there is no doubt that Johnny Cash was an iconic singer. It’s hard to make yourself sound like Johnny Cash, but it can be done if you are able to go through a few practice singing sessions in order to imitate his voice perfectly. To start practising, listen to Johnny Cash’s songs. Download his discography and all his albums so you know what his genre is and you can adjust yourself to it. His pronunciation of different words is quite difficult to imitate, so start changing your accent a little in order to copy him perfectly. Put a few tracks on repeat, the ones which you think you can sing easily, and start singing alongside the song itself. Get hold of a good recording microphone and start recording your own versions of Johnny Cash songs. Always listen to the recording once you are done and figure out the mistakes which you have made. Repeat this step until you think you have polished your singing. Another good way to sound like Johnny Cash is to train your voice with a guitar. Grab a guitar and play a C major chord. Make sure that the C chord you are holding is at least an octave below your singing range. It is hard to hit that note in the start, but practice makes perfect and soon you will see how your vocal range has improved. In order to give a good shape to your vocal cords, you must start practising scales. Play a vocal scale on speakers and start practising alongside it. This improves the muscle that produces sound, which will further enhance your vocal range. Johnny Cash had an immense vocal range and you will have to practice a lot if you want to sound just like him. Voice coaches, at times, are extremely helpful. They give you the perfect exercises and train you according to your needs. Therefore, hire a voice coach and ask him to help you train in such a way that you sound like Johnny Cash. He will help you by providing you with the exercises needed to improve your vocal range.